Format the text in your R Markdown file with Pandoc’s Markdown, a set of markup annotations for plain text files. When you render your file, Pandoc transforms the marked up text into formatted text in your final file format, as below. Try it out with this file on RStudio Cloud. 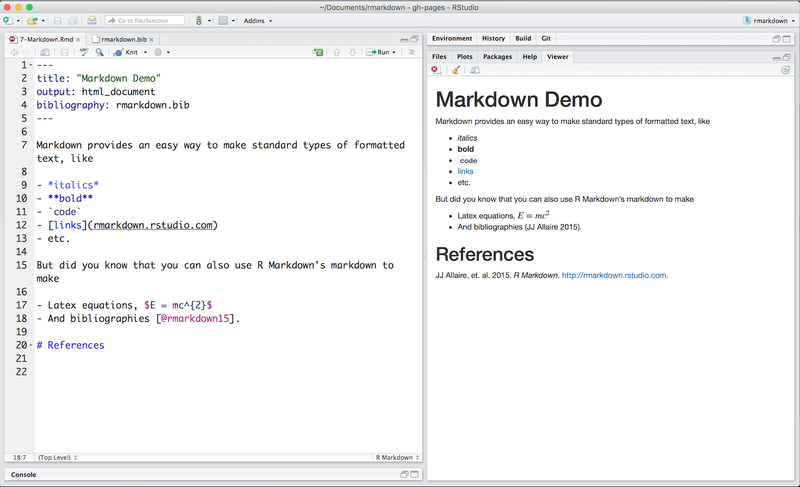 Read more about markdown at Pandoc’s Markdown or consult the quick reference in the R Markdown Cheatsheet.